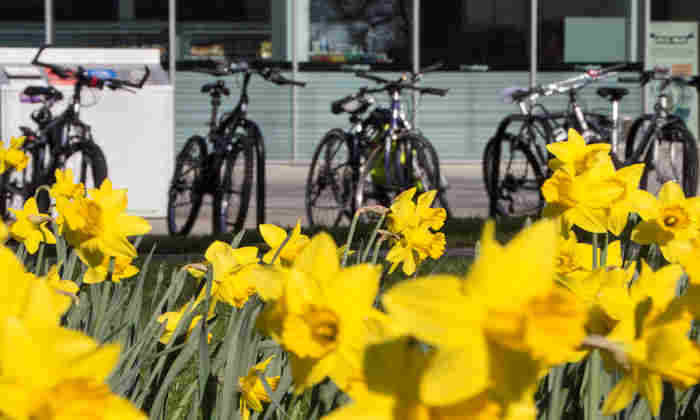 The University is reminding staff and students to register their bikes on our free Cycle Registration Scheme. Under the scheme, we offer a bike marking service for all students and staff in which a unique serial number is 'etched' onto the frame in a highly visible location. The owner/cycle details are recorded and entered onto a University database to enable our security officers to check bikes. Once you have registered your bike, you are then eligible to buy a discounted bike lock. If you lose your bike lock key or the lock fails while you are on campus and are not registered with the scheme, security officers may be unable to cut your bike free without additional proof of ownership. The registered information is also entered onto the national property database Immobilise. The Police check this database when they come into possession of stolen or recovered property. In addition, you can also register other personal property that has a serial number such as a mobile phone or laptop.